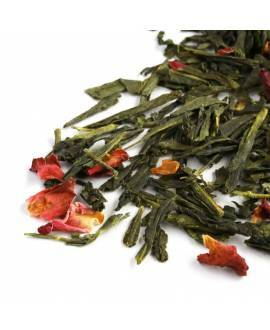 Loose leaf green tea can be sweet, without the addition of sugar. It can also be fragrant and delicious if it is fine quality and brewed at the right temperature. At Royal Tips Tea we have selected premium artisanal green teas which were hand-picked and carefully processed to release vibrant and exquisite flavours when infused in hot water (never boiling! Check our tea brewing guide here). 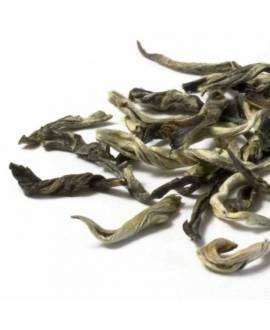 Our highest grade Anji Bai Cha, with its light citrus notes, is smooth like velvet, whereas creamy Jasmine Pearls will seduce you with pleasant jasmine notes that are added naturally during the scenting process that uses fresh jasmine flowers. 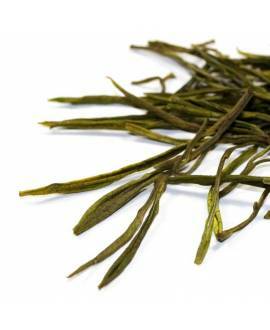 Best quality green teas are known for their fresh, lively and gentle character, like the scent of a spring breeze. 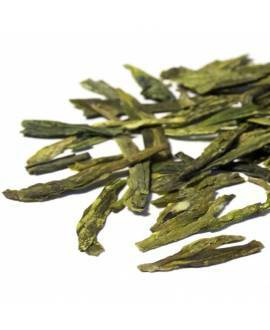 They stand out for their bright, sometimes nutty and slightly grassy notes that totally set them apart from other tea types. As you probably know, different types of tea have different oxidation level and this is what determines the category that each tea belongs to. Once the tea leaf has been picked from the bush, it will slowly start to wilt and naturally oxidize. 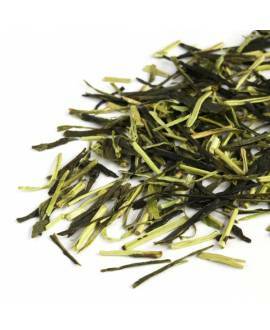 Green tea is the only tea type in which the oxidation process is deliberately stopped at an early stage. To prevent the tea enzymes from oxidizing, the tea maker de-activate them by applying heat (a “kill-green” process). In China this is generally carried out by panning in a wok or a panning machine. 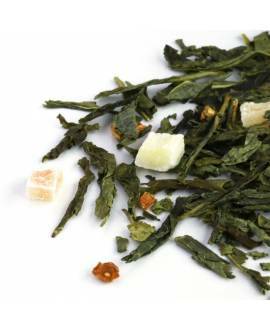 Green tea is therefore considered to be the only non-oxidized type of tea. 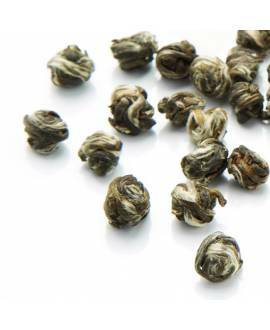 In other words, it is not oxidized at all (although there is a very light natural oxidation which happens after the tea has been picked from the plant and until the panning process takes place). 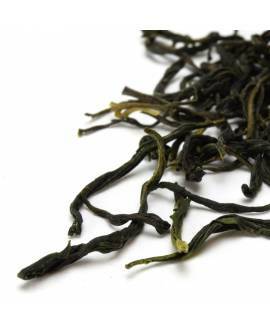 The tea leaf will then preserve its natural green colour and the vegetal flavour together with any roasted notes added during the panning process. This procedure also results in green tea’s beneficial properties. During the “kill-green” stage, the leaves retain all their beneficial natural ingredients, including antioxidants and amino acids such as L-theanine. L-theanine is a very rare and valuable substance that can counteract and slow down the effect of caffeine and contribute to the increase of alpha brain waves responsible for relaxation and stress reduction. If you would like to learn more about the health benefits of green tea, here are the 10 reasons why you should drink green tea. All our green teas are carefully packed into sealed bags to preserve freshness, quality, and therefore the health benefits of our loose teas. 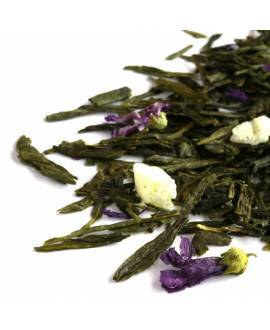 You can order a green tea sample of 5g or chose between packets of 25g, 50g, 100g or 250 g. The higher the quantity, the bigger the discount you will receive for your loose leaf tea purchase. This is because the packaging cost is very high, so the larger the quantity of tea you buy, the more money you will save on packaging.